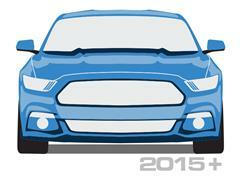 A Mustang bumper replacement doesn’t have to involve a hefty mechanics bill. 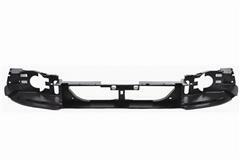 Fix a broken, wrecked, or damaged front bumper cover yourself with a new replacement from Late Model Restoration. 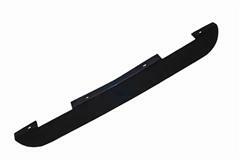 The front bumper on your Stang usually takes a lot of damage from road debris, curbs, and minor wrecks. 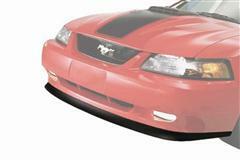 Pick up a new replacement or aftermarket bumper cover to transform the look of your Mustang. 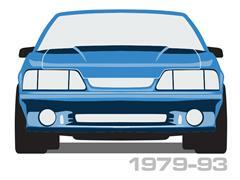 Get your Fox Body looking brand new with a replacement GT or LX bumper. 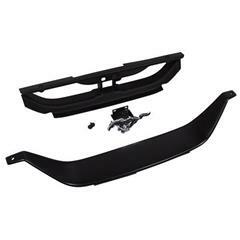 These Mustang front bumpers replacement kits are direct replacements and are offered in with new headlights, header panels, fog lights, and grilles for a complete front end restoration. Looking to upgrade the appearance of your Fox? Choose a Cervini's Saleen air dam or Xenon urethane air dam to bring in more air flow and get a more aggressive look. 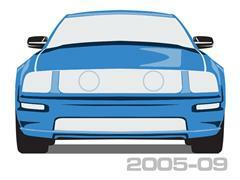 Got a 94-04 Mustang? 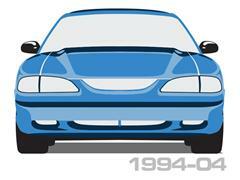 We offer the popular bumpers for SN-95 and New Edge Stangs like Cobra, GT, V6, Cervini's Stalker, Cobra R, and Roush. These front bumper covers can be bought individually or in a kit as well with fog lights, header panels, emblems, and headlights. 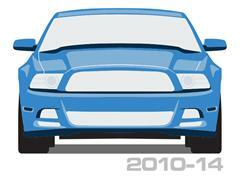 Add an SVE Mach 1 chin spoiler and grille delete to finish off the perfect upgrade on your Mustang. For 2005-2014, we have California Special, GT/CS, GT, Roush, and GT500 bumper covers to get your S197 looking like a special edition Mustang. These bumpers pair perfectly with a new Roush, RTR, Street Scene, and California Special chin spoiler or splitter. 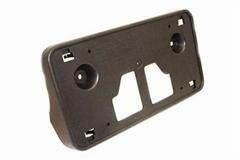 We also offer bumper accessories to top off your installation. 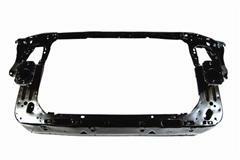 These parts consists of front chin spoilers, grilles, header panels, bumper supports, insulators, radiator core supports, radiator air deflectors, license plate brackets, and fog light bezels. 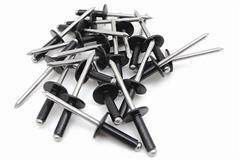 Don't forget to pick up the necessary hardware to get everything installed properly the first time! 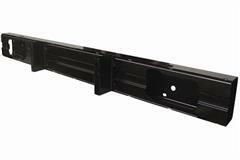 These Mustang Front Bumper Replacement Parts Fit: 1979, 1980, 1981, 1982, 1983, 1984, 1985, 1986, 1987, 1988, 1989, 1990, 1991, 1992, 1993, 1994, 1995, 1996, 1997, 1998, 1999, 2000, 2001, 2002, 2003, 2004, 2005, 2006, 2007, 2008, 2009, 2010, 2011, 2012, 2013, 2014, 2015, and 2016 Mustangs.